What will we tell our children and grandchildren? When they look us in the eye and ask how we could’ve let it get this bad and what we did to help prevent it? Did we just stand by and watch as our governments, local, state and federal frittered away trillions of dollars on giveaways and boondoggle projects? One such boondoggle project that comes to mind is that of the U.S. Navy’s “Great Green Fleet”. Having been in the Navy and spent some time aboard a carrier, this is particularly disturbing to me. Defending the nation is one of a very few things our government is actually constitutionally charged with. 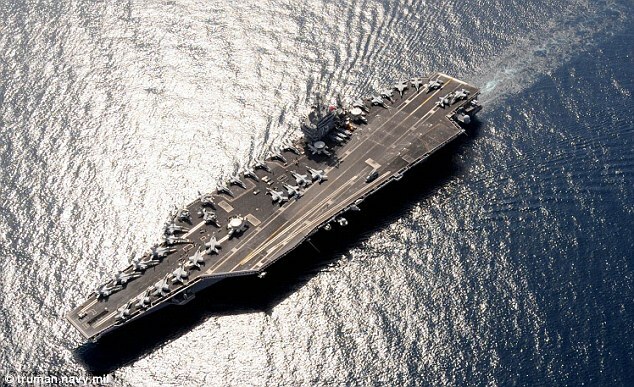 So it’s more than just upsetting when in February it was announced that the aircraft carrier Lincoln (CVN 72) would have to indefinitely postpone it’s refueling and overhaul due to budgetary constraints. Great news! A carrier that is undeployable. Oh wait… make that two. The deployment of the carrier Harry S Truman (CVN 75) will also be delayed for the same reason. Yet the Marine Corps can spend $350 million on solar panel field communications equipment. As with all dimwitted government programs, they have charming acronyms. The programs are called “GREENS”, Ground Renewable Expeditionary Energy Network System and “SPACES”, Solar Portable Alternative Communication Energy System. As an aside, you know darn well that some bureaucrat thought up the acronym GREENS first, then just assigned words to each letter. Col. Bob Charette said: “Solar is the best technology for us.” He explained that the Marines could lay the array on the ground to achieve a low profile. Not to be one-upped, the Navy, or should I say the hacks in the White House that command the military, have been purchasing biofuel to power the “Great Green Fleet”. My goodness, how the Chinese and Russians must be laughing about this one. In 2009 the Pentagon bought 20,000 gallons of algae oil. It was a bargain at $424 a gallon. They paid a mere $27 a gallon for 450,000 gallons of biofuel. Why pay $3.60 a gallon for diesel? Genius! The grand theory of the brainiacs in Washington is these purchases will create demand, which will drive the price down to be competitive with petroleum products. But as long as the dolts in Washington are happy to pay 20 some bucks a gallon, the suppliers will happily oblige. To make things worse, the Navy, Agriculture and Energy departments will “invest” $170 million each in bio refineries. That’s $510 million! Why? Because the private sector knows it’s a waste of time and money. So when your children ask how this could’ve happened, you can assure them that it wasn’t due to projects like the “Great Green Fleet”. You can tell them, with a straight face, that it was a smashing success, a wise “investment” and we helped save the planet for you, little Johnny. If you don’t shed a tear, you’re not human! The mood was somber at Cowboys Stadium in Arlington, Texas on Monday as thousands gathered to honor slain Navy SEAL sniper Chris Kyle who was shot to death at a Texas shooting range earlier this month. Photos of Kyle taken throughout his life flashed on the stadium’s giant Jumbotron as loved ones, as well as complete strangers whose lives he touched, remembered his legacy. While millions of Americans know him as the deadliest sniper in U.S. history, others that knew Kyle closely spoke about the charitable work he did off the battlefield to help struggling veterans and his role as a caring, loving father and husband. It wasn’t his confirmed kills tally that he wanted to be remembered for. The “American Sniper” author said he wanted to be remembered as someone who gave everything he had to help others. A cross, helmet, vest, boots and a sniper rifle were flanked by flowers on the stage, placed right behind the Cowboy star. 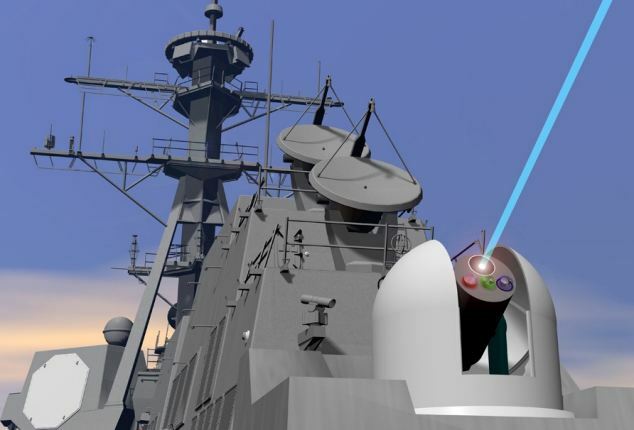 Once the stuff of science fiction and James Bond movies, the U.S. Navy is now just two years away from arming it’s ships with the first generation of ‘directed energy’ laser weapons. The weapons are designed to track and fire on threats to a warship that could include anything from armed drones and small ‘swarm’ boats to incoming missiles and aircraft. According to Rear Admiral Matthew Klunder, the chief of the Office of Naval Research, a series of successful tests in recent months have enabled the Navy to halve its predicted timeline for mounting laser weapons on vessels. ‘We’re well past physics,’ he told WIRED.com. In April 2011 the Navy released a video of a test in which its prototype Maritime Laser Demonstrator blasted a hole in the engine of a small boat at sea off the California coast, leaving it dead in the water. 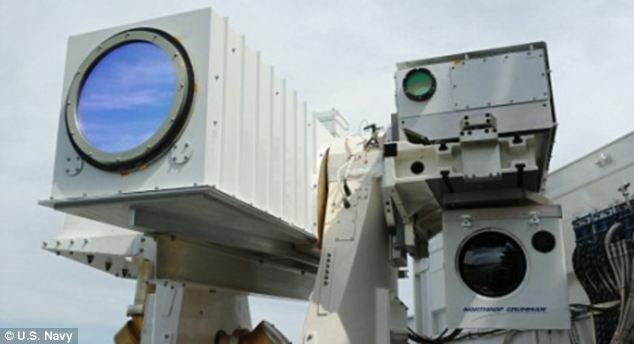 Solid-state lasers are one of several different types of laser-based weapons systems currently being developed by the Navy and other military services in conjunction with major defense contractors. The military has spent hundreds of millions on the development of the various systems, but once installed, the government predicts they will be relatively cheap to operate since they don’t use conventional munitions. A shot from a laser weapon is estimated to cost the Navy the equivalent of less than a dollar, compared to short-range air-defense interceptor missiles which cost between $800,000 and $1.4 million each. 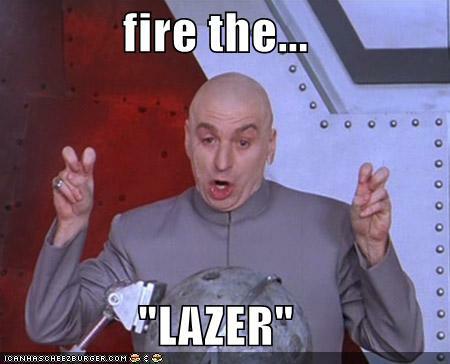 Up until now one of the Navy’s key concerns with lasers has been how to generate enough energy to fill the laser gun’s magazine, however Klunder says that it is no longer an issue. ‘I’ve got the power,’ said Klunder, who spoke during the Office of Naval Research’s biennial science and technology conference. With the technology almost now in place, there does however remain a concern over funding to make the laser weapons a reality. Admiral Mark Ferguson, vice chief of naval operations, has warned that ‘research and development is part of that reduction’ in defense budgets currently scheduled to take effect in January. I love my Dad and I personally know how large a carrier is, but it wouldn’t have been large enough. Kudos to this Father / daughter team. 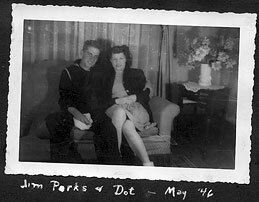 Among the many difficulties that hardworking members of the U.S military must endure, is the long periods of separation from family and friends. For one father and daughter that burden has become a little lighter after they were both deployed to the USS Harry S. Truman. 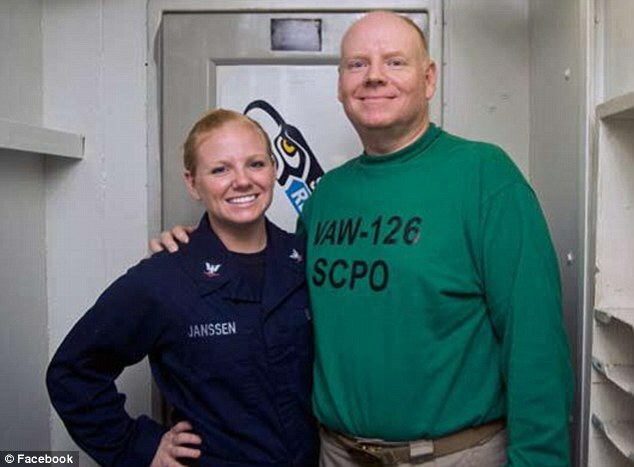 It is Breanna Janssen’s first deployment to the ship where she will serve as a Gunner’s Mate 3rd Class while her father David is the leading chief petty officer of maintenance for the Seahawks, of Carrier Airborne Early Warning Squadron 126, part of the tactical air force. Mr Janssen said the experience is made extra special by the fact that while it is his daughter’s first time at sea, this is likely to be his last. 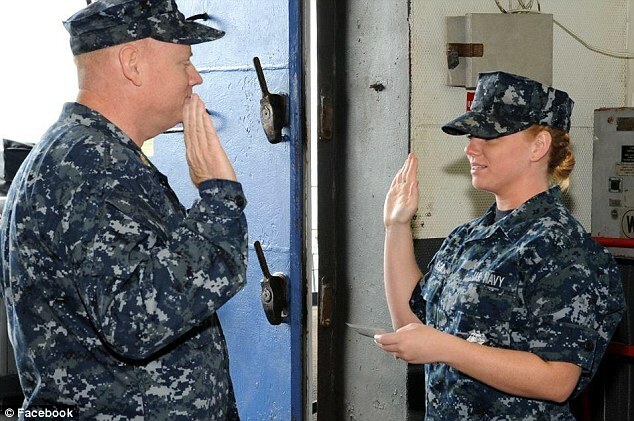 The young woman said that she was inspired to join the Navy because of her father’s example and distinguished career which includes eight previous deployments. 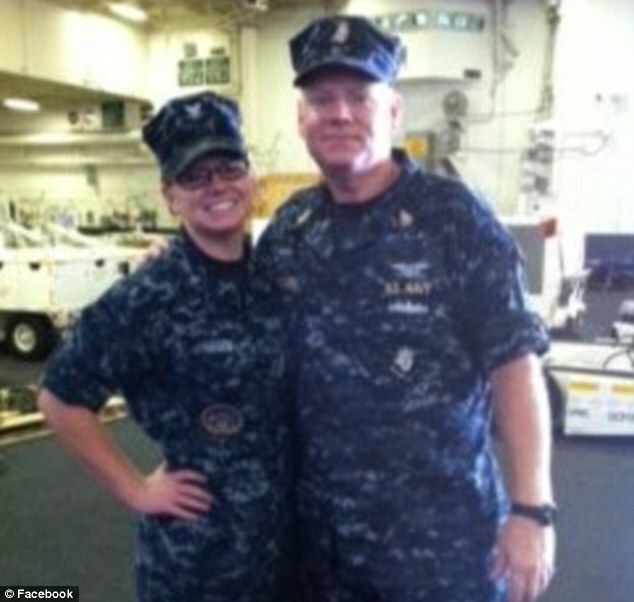 The Navy allows siblings to serve together however a parent serving with a child is unusual. The USS Harry S Truman was built in 1993 and is named after the 33rd President of the United States. 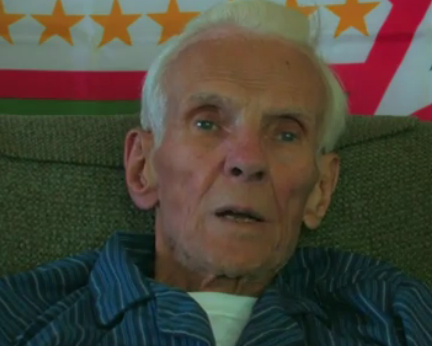 Jim Parks may be 93-year-old, but he isn’t slowing down. The former Navy sailor and World War II service member is on a mission to officially honor his fellow veterans. 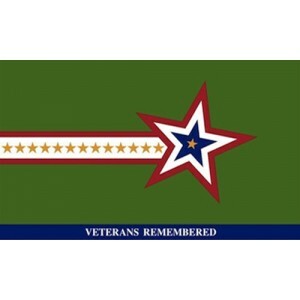 Parks, who has a passion for commemorating those who have given back to the United States of America, has created a flag that serves this very purpose — a symbol that he hopes to eventually see flying in all 50 states. Parks, who pushes on despite health problems, has stated his surprise with the fact that there are already flags for each branch of the militar y and for individuals who are missing in combat. 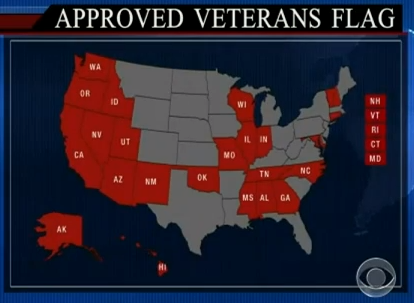 But the dearth of a more general symbol to represent the many individuals who have served has been a concern to him, so he has set out on a crusade to see that this alleged wrong is righted.